At A/C Fabricating Corporation, we are dedicated to providing the highest quality custom metal fabricating services for customers in a wide range of industries. Our experience in engineering and machining demonstrate our abilities to meet a full range of design requirements, and our superior quality services are exemplified by the project illustrated here. A client in the HVAC industry was experiencing a high level of leaks with their current condenser manifolds. Our designers and engineers examined the manifold to determine the cause of this problem. After research and testing, they discovered that when the unit was run through a normal cycle, it was fractured by the combination of heating, cooling, and vibration of the manifold. 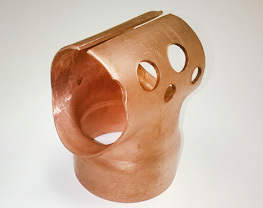 The cause of fracturing was the weight of the manifold applying stress on the brazed joint, ultimately causing the fractures and the high rate of leakage. Our team developed a plan to rectify this situation, specially designing a manifold that would reduce the stress caused by normal operating conditions and more. 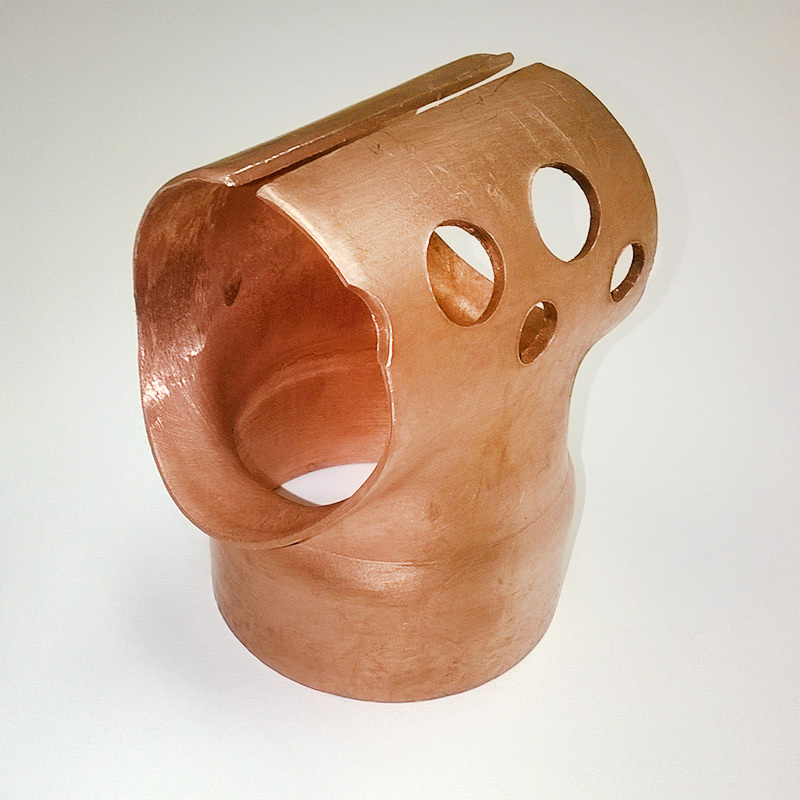 Using a base material of copper, we employed our state of the art equipment to saw, drill, braze, and end form this manifold. When completed, the part measured 4” long, weighed 1 lb, and was held to tolerances of ±0.030”. All of which was verified through a comprehensive set of testing procedures. Due to the high cost and liberal tolerances associated with using WROT plumbing Tee's in OEM applications, we have developed our own proprietary product to replace them. The new manifold had a design which lowered the stress level on the brazed joint, totally eliminating field leaks while providing substantial cost savings. Our customer was impressed with our results. We manufactured 50,000 of these parts and delivered them to our client in the Western United States within a turnaround time of just 12 weeks. Over the life of the project, this redesign ended up saving our customer over a million dollars. To find out more about this project, please contact us directly. life of part 50,000 pcs.